Insect Clocks is mainly concerned with the phenomena in which ""environmental time"" has a practical implication for the life of insects for them to perform behavioral or physiological episodes at the ""right time"" and season. This text first discusses the concept of rhythms and clocks, along with the seasonal changes in the environment that affect a particular group of organisms. 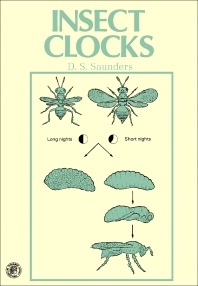 This book then explains circadian rhythms of insects. Photoperiodism and seasonal cycles of development; photoperiodic response, clock, and counter; and other types of insect clock are also tackled. This text concludes by explaining the anatomical location of photoreceptors and clocks. This publication will be invaluable to those interested in studying insects and their development affected by circles of influences. 2. "Aschoff's Rule" and the "Circadian Rule"
2. Night Interruptions in Cycles with an Extended "Night"